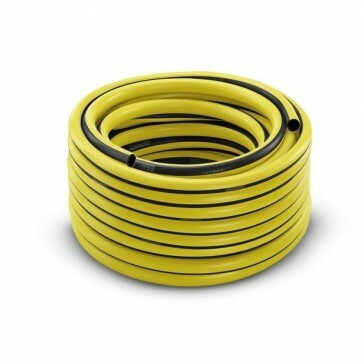 PrimoFlex® quality hose 1/2" 50 m ideal for watering small to large areas and gardens. 3 layer garden hose, pressure-resistant, reinforced braided, free of phthalates, cadmium, barium and lead, harmless to health. A weather-resistant, UV-proof outer layer protects the material, and an opaque interlayer prevents algae formation in the hose. Bursting pressure 24 bar. Hose operating temperature range -20 to 65 °C. 12 year guarantee. 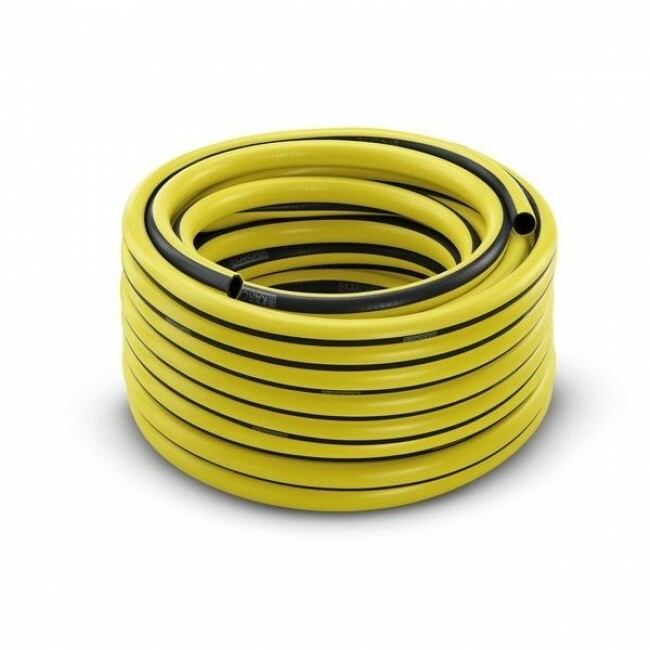 Kärcher garden hoses are extremely flexible, durable and non-kinking. The advantages are clear: extremely durable and easy to handle. Watering with Kärcher is the smart way to water!